myDaVinci - Get Involved. Make Friends. Enjoy Motherhood. 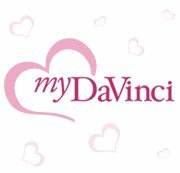 MyDaVinci is your ultimate company to create modern artwork. Without any hassle of going outside, the art would come to your doorsteps. They have started their creative business in 2000 and since then they have managed to inspire people towards art. MyDaVinci is well renowned for their personalized artwork and their variety. They are invariably creative and the best part of their business is they let you be creative in their authentic way. You can choose art style from more than dozen options, few of them are pencil sketch, color pencil, ink rendering, oil painting, and the very famous DaVinci style sketch etc. You can also choose from their modern collection which includes black and white abstract, oil painting Giclee, pop art and paper cut pet. In addition, there are caricatures done by fans which have two different versions like fantasy and masterpieces. MOD Moms Discount: 20% off on Anniversary gifts.